Safe-haven buying drove the Japanese Yen higher after a steep decline in the Turkish Lira raised contagion fears in the Euro area. The focus remains on any speeches or tweets from U.S. and Turkish Presidents as they would have a significant impact on the market's direction. New lows were posted as the pair continues its downwards move. 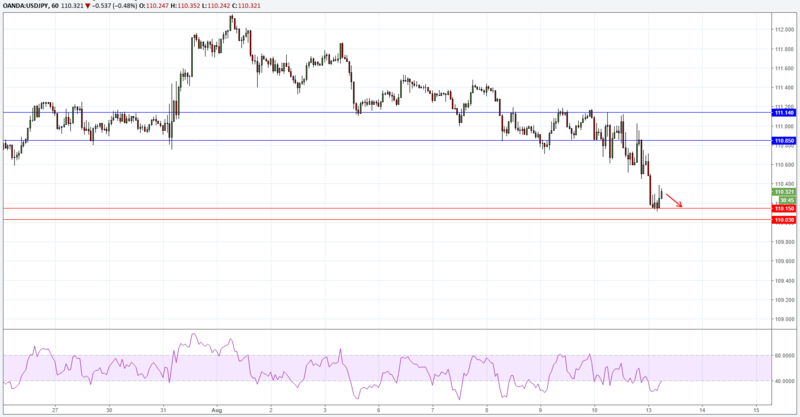 Today's price action may be to the downside towards the 110.15 mark with a possibility of breaking it and moving further in the direction of the 110.03 area.